Not sure if this is a Server 2012 R2 bug, or something specific with my lab, but at least it’s an easy fix. 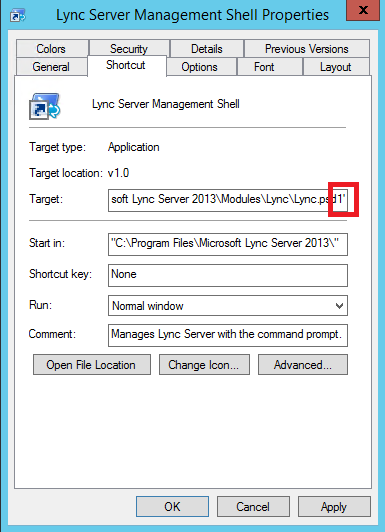 This entry was posted in Lync 2013, Server 2012 R2 and tagged Lync 2013, PowerShell, Server 2012 R2. Bookmark the permalink. Thanks for the post. I had the same problem. It doesn’t look like it’s your Lab issue. Wow good catch, spent a whole day trying to figure this out. Same issue on new deployment. Thanks, had the same issue in my 2012 R2 env. This solved the problem. Excellent – how weird that adding the quote to the target does not fix it. 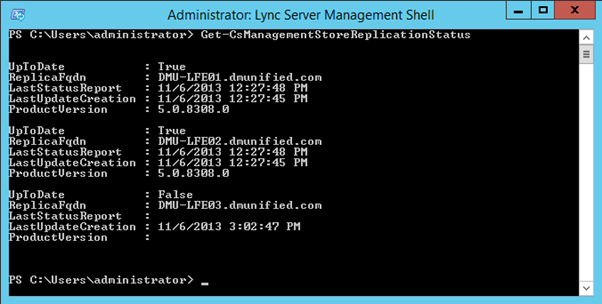 I have built quite a number of Lync Labs on 2012 R2 testing different scenarios. Uptil now I have only had this issues once so it does not seem to be a persistent issue. Thank you for this. I’ve been racking my brain for hours trying to figure out what is going on here. recently worked with a client who forgot to complete the above on the Edge server but gave wrong message “Host not found” even though host name of edge server was set up correctly. Thanks worked for me on R2. Worked for me on 2012 R2 Datacenter. Thank you for finding and fixing this rather sloppy mistake of Microsoft! Good ol’ MS. Feel the quality! Thanks for putting this page together, I’d been scratching my head over that for a few days. 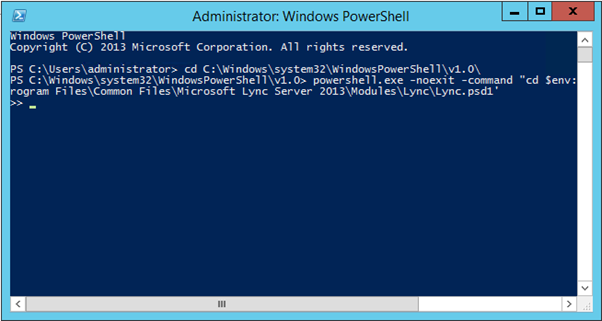 running the command “import-module ‘C:\Program Files\Common Files\Microsoft Lync Server 2013\Modules\Lync\Lync.psd1′ from a standard PowerShell command (without “Powershell.exe -noexit -command “cd $env:UserProfile;”) also does the trick. Great find! Thank you – needed this for both my single instance Lync 2013 Standard server (Windows 2012 R2) and for an admin box that hosts the admin tools for Lync (Windows 2008 R2). 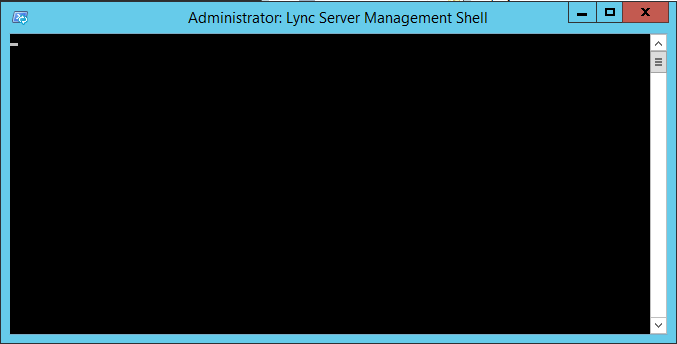 Both the server and Admin tools are on the latest rev’s available (OS/Lync). Thanks.. You saved me hours of looking.. Thank you. I had the same problem and this solved, “We’re back in business.” :).